The following is a map of Costa Rica hot springs locations. The best hot springs in the country are located in the Arenal Volcano area. This area provides an ideal climate for hot springs and the volcano in the background only adds to the experience. Keep in mind, the areas in the northwest part of the country (Guanacaste) are all hot during the day, with temperatures normally reaching the mid-90s. 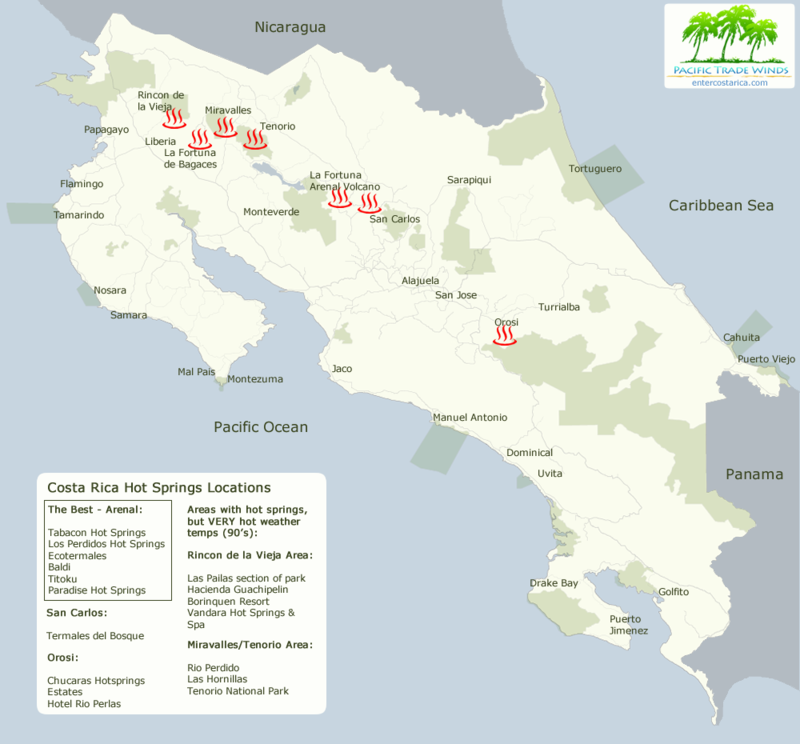 Click here to view an enlarged version of this hot springs map.